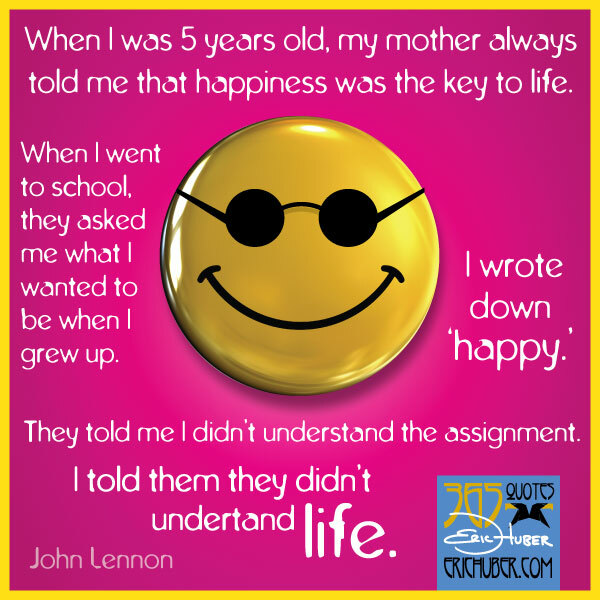 When I was 5 years old, my mother always told me that happiness was the key to life. When I went to school, they asked me what I wanted to be when I grew up. I wrote down ‘happy.’ They told me I didn’t understand the assignment. I told them they didn’t understand life.